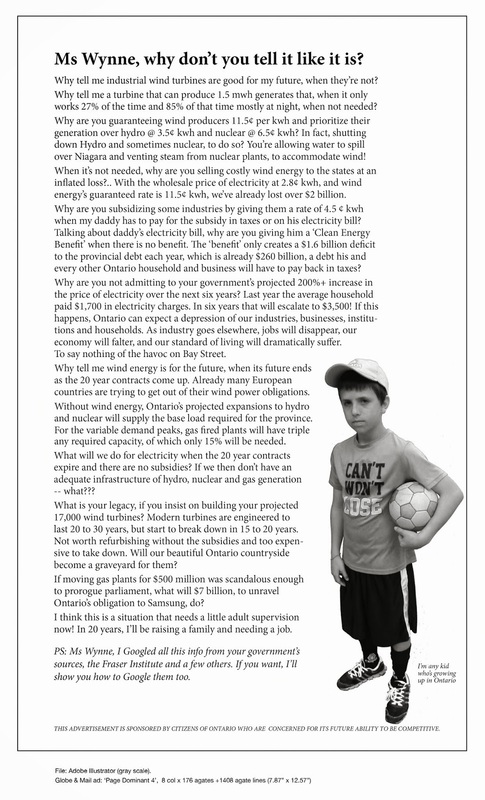 Wind Turbines Never Considered in Property Assessment | Mothers Against Wind Turbines Inc.
Dave Hemingway of Huron County has been battling the powers that be over impacts of wind turbines in relationship to his property’s assessment. His ongoing battle has taken years and has hit many roadblocks. One major barrier he claims is the failure of MPAC to consider impacts of wind facility infrastructure by instructing its assessors not to consider how close the wind turbines are when making an assessment. MPAC (Municipal Property Assessment Corporation) has continued to hold fast to its official line that industrial wind turbines have no measureable impacts on the values for properties in close proximity to wind turbines. It uses several reports to bolster its current stance. A Goderich Township residents says a hearing over his right to challenge his assessment that has gone on for about six years, could have been resolved much sooner. Dave Hemmingway outlined his position Wednesday at a hearing in Clinton. He said his main contentions include the fact that proximity to wind turbines was never considered in his assessment. Hemmingway added he has recorded testimony that assessment officers were specifically told not to consider proximity to wind turbines. He also contends that assessment officers did not have the proper training to do their jobs. Hemmingway questioned the legality of much of the written material turned over by MPAC because there is no signature on it. He also stated the chair of one board actually signed a document six months after she had left the board. Following the Clinton hearing, Hemmingway said he doesn’t know when he’ll get a ruling.